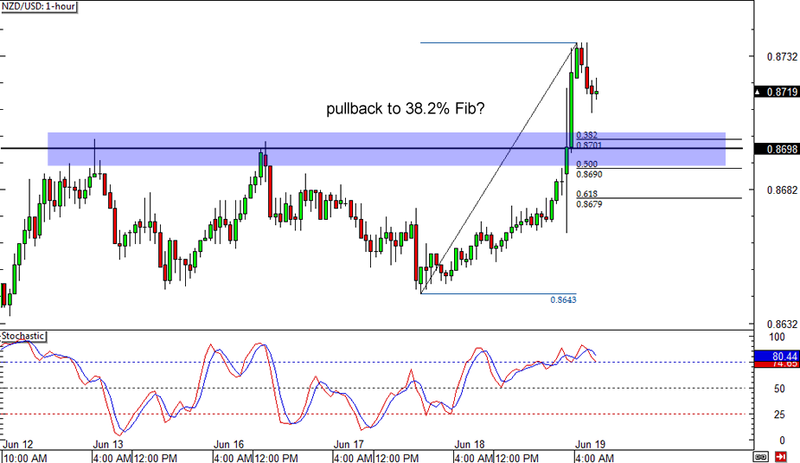 Are euro bears ready to get back in the groove? 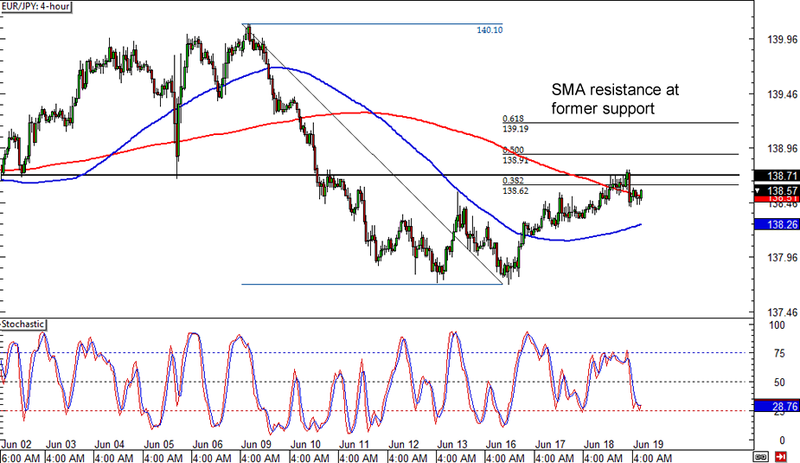 EUR/JPY has been stalling around the 38.2% Fibonacci retracement level of the latest drop on its 4-hour forex chart, giving a chance for more sellers to hop in the ongoing downtrend. The Fib level even happens to line up with the 200 SMA and a broken support area, making it an even stronger resistance zone. Stochastic is almost in the oversold region though, which means that EUR/JPY might still bounce higher before resuming its selloff. Breakdown alert! 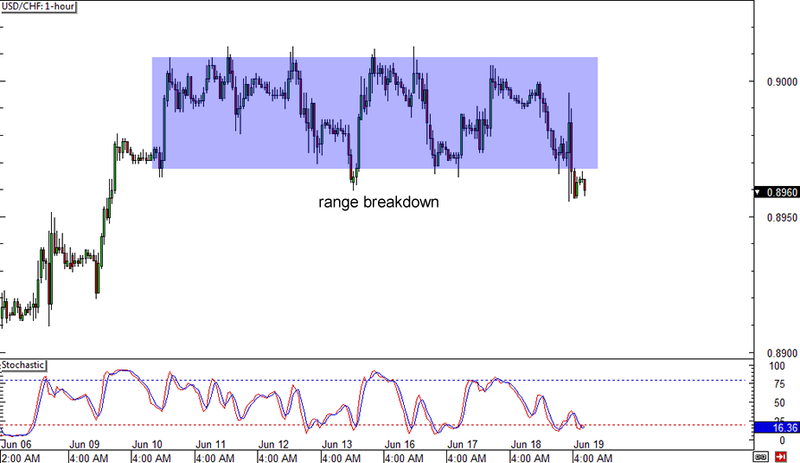 After days of consolidating inside a rectangle pattern, USD/CHF has finally made a break for it and is heading south. Stochastic is indicating oversold conditions though, which means that there could be a chance that this is just a fake out. In that case, USD/CHF might still make another run for the top of the range. On the other hand, if this breakdown signals that more losses are in the cards, USD/CHF might pull up for a quick retest of the broken support before edging lower. Here’s another potential break-and-retest play that you wouldn’t want to miss! NZD/USD just made a strong break above the resistance at the .8700 major psychological level and surged to a high of .8737. With stochastic deep in the overbought region though, Kiwi bulls might need to take a break before charging again. The 38.2% Fib level lines up with the broken resistance and might act as support, before NZD/USD makes its way back to the recent highs or makes new ones!